The Annual Meeting is a time for us to reflect on our accomplishments over the past year and to discuss our plan to accomplish our goals through the collective impact of the entire collaborative. Additionally, voting members of the NHC Providers and Stakeholders Association (formerly the NHC General Membership) will vote on the NHC Governance Charter, Community Evaluation Policy and elect board members to the NHC Board. 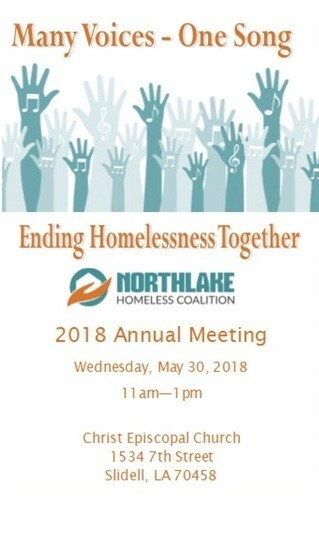 Please RSVP for the Annual Meeting here. The only requirements for voting member status in the NHC Providers and Stakeholders Association (NHC PSA) are an interest in ending homelessness and completion of the NHC PSA Membership Agreement available here. If you represent an organization, please note that only one person per organization will be allowed as a voting member of the NHC Providers and Stakeholders Association. Conflict of Interest disclosures will be required for all votes of the NHC Providers and Stakeholders Association. For questions, please contact Amanda Mills at [email protected].